The Soft-Lite Imperial LS window is one of the better vinyl window options out there, probably in the top 10 vinyl windows on the market. Soft-Lite spent quite a bit of money in the research and development on their top two windows and it shows with this model. Not their top of the line window, see the Soft-Lite Elements review, but their small step down down. Depending on the price point and quality of installation, this model should be considered a good long term value purchase. Standard features include a Integral lift rail, Comfort foam frame fills, triple weatherstripping, a true sloped sill, a recessed sash lock, a super spacer and locking exterior fiberglass mesh screen. The Imperial LS also offers several very nice upgrades from the Soft-Lite Pro window, including a Kevlar reinforced fiberglass meeting rail, a more precision corner weld system, and a coil balance system. The Imperial LS can be ordered in a number of different glass options, including the low-e, Ultra and Ultimate glass packages. Consumers can choose from two interior frame colors (white and beige) and five interior wood grain laminates (maple, brazilian cherry, cherry, medium oak, and light oak). The window also comes in 15 exterior colors, including some rather bold color choices such as Royal Brown, Forest Green and Bronze. The Imperial LS model can be ordered as a casement, double hung, picture, slider, or awning - the same options available for the Elements Series. Consumers can expect to pay $----- for the Imperial LS window itself. (We cannot list specific windows cost info, please contact us more pricing information.) Comparable windows include Polaris UltraWeld windows prices and Sunrise Verde costs. The Soft-Lite Imperial LS window with the standard low-e glass package will deliver a 0.28 U-factor, 0.23 SHGC, .02 AI and a 0.44 VT. An upgrade to the Ultra window package will improve these same numbers to a 0.21 U-factor, 0.18 SHGC, .02 AI and a 0.37 VT. 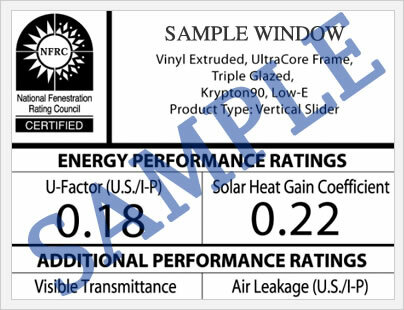 These numbers (all except the air infiltration numbers) are available on the nfrc.org website, which lists thousands of window series and model performance and data numbers. 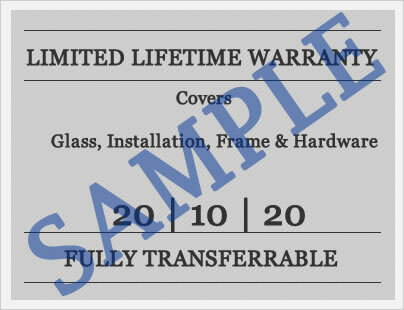 The Soft-Lite Imperial LS warranty is identical to the warranty information listed for the Soft-Lite Pro model window. This includes a limited lifetime warranty on the the mainframe and sash, and a 10 year warranty on PVC coatings, exterior foil laminates and internal mini blinds. The Imperial LS warranty is transferrable one time. In order for the transfer to apply, the new owner must complete a transfer card and pay a nominal transfer free to. Like all warranties, there are exclusions and limitations that apply so we urge consumers to read the warranty fully before they purchase. Have a Soft-Lite Imperial LS window review to share with others? Submit your reviews here and have your voice heard. Ask Jim or John any questions for have on the Soft-Lite Imperial LS and get the answers you need to make an informed decision today! I've narrowed by search down to the following options for 8 casement windows and would love to hear opinions on them? Thank you!! Andy, I agree that on paper these two windows look pretty close, it's one of the reasons that choosing the right window presents such a tricky prospect. However, the Soft-Lite Imperial LS window is by far the better made of these two windows. Assuming the installation is equal in quality, I wouldn't hesitate to go with the Soft-Lite option.